2. The cooling water pipe installation. When installing water pipe, please make sure the cooling water inlet must follow from the positive to negative, and down into the water, and the interface is not leaking. Before starting the laser tube must store enough water in the water cooling pipes and no air bubbles before use (must check every time before start laser tube). If the laser tube is mounted vertically, please ensure that no air bubbles at the top of the laser tube. It will cause thermal shock when it runs with air bubbles in the water pipe, which is easy to damage your laser tube. 3. To maintain the good performance of laser tube, keep the cooling water temperature between 20-25 °C. The instability of cooling water's temperature will influence laser tube output power. 4. When installing the laser tube, please try to ensure the 1/4 point in laser tube length is on laser tube holder, this can help your laser tube get best working performance. And leave enough space between the laser tube positive end (it has high voltage electricity) and any metal surface of your laser machine. If the space is not big enough, it will cause ignition between high voltage power used to trigger the laser tube and the metal surface of laser machine, and thus lead to laser tube damage and even breakdown of major electronic components on your laser machine. 5. Recommend laser machine consumers to put automatic checkout device into your laser tube water cooling system to prevent laser tube stoppage due to overheating failure caused by lack of water when laser tube is working, please consult your laser machine supplier for details. 1. Check if any scratches or dirt on laser tube output lens and the laser tube put on laser tube support at right point (Marked as"suggested support point"on SPT laser tube). 2. Check the output current of laser machine, service voltage, cooling water temperature, cleanness and rate of water flow. 3. Check the cleanness of focus lens and the reflectors on your laser machine, check whether the lens and reflective mirrors get hot or the laser beam is not well aligned. 2. Too humid indoor environment will also cause electric conduction phenomena. Please pay attention to phenomenon of condensation water in laser tube when using water chiller in summer days. 3. Check if any contact defective or open circuit in laser power internal high-voltage connections. 1. Cooling water temperature must be 15 to 25 degrees. The cooling water can be frozen in cold area to cause laser tube broken from inside, so don’t leave any water within the laser tube when temperature is under 0 degree. 3. Check the silicon water pipe is folded or pressed by something. 4. Check if any bubbles in the laser tube. 5. Check whether the cooling water flow rate is normal and the water is circled from low to high. If conditions 1-5 are normal, it is laser tube quality problem. Laser tube breakdown caused by wrong operations of 1~5 conditions is not covered by warranty policy. SPT laser technology co.,ltd is established in Dongguan, Guangdong, China. Its main factory is located in Jiangsu, where is close to Shanghai. There are dust-free workshops equipped with the latest production devices and QC devices which exactly passes ISO9001 standard and contains over 100 workers. 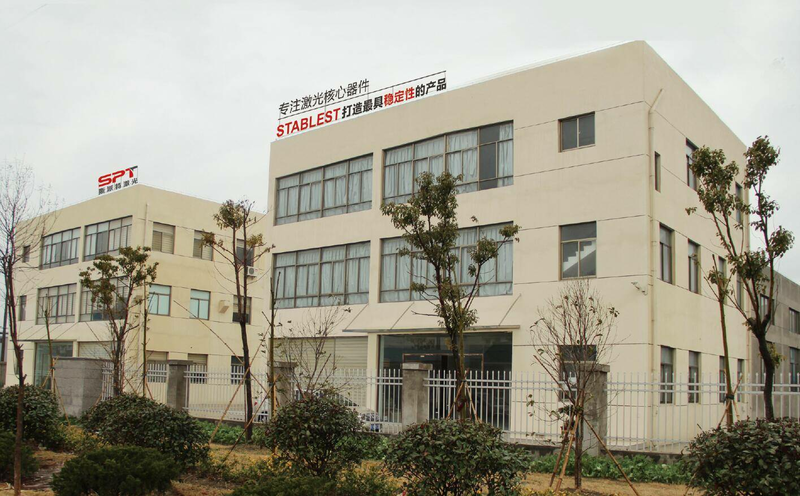 Main office is located in Dongguan city, which is in charge of the management of whole company and sales. 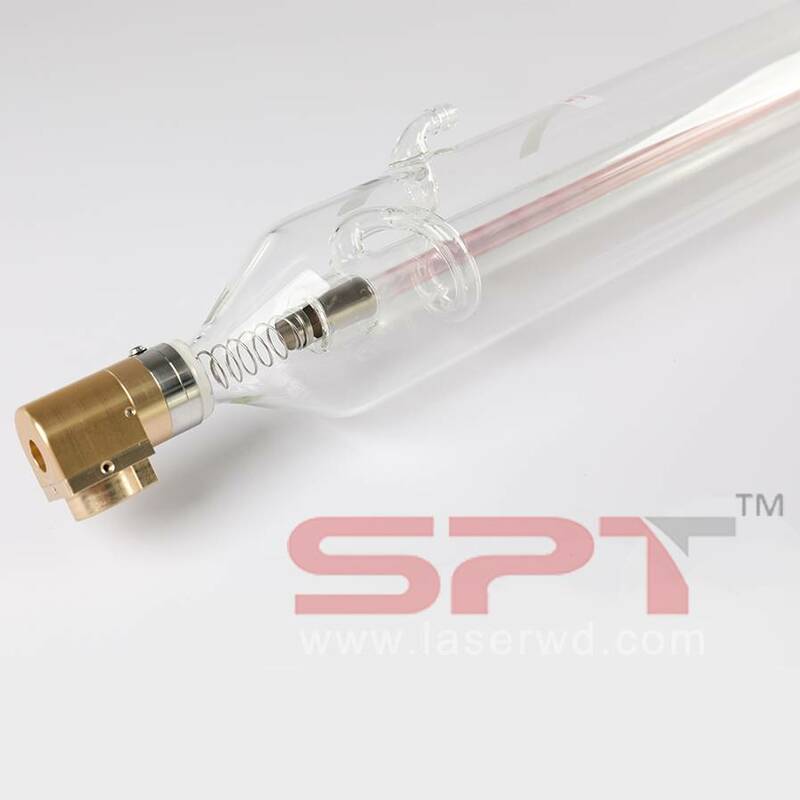 With years of indturial experience and continous improvement of technology, SPT Laser has been one of the biggest co2 laser tube manufacturers in China, achieved many kinds of national patents and interenational certificate like CE, FDA, etc. Win a lot of loyal customers all over the world under the faith in " Quality is the soul of product and customer goes first". 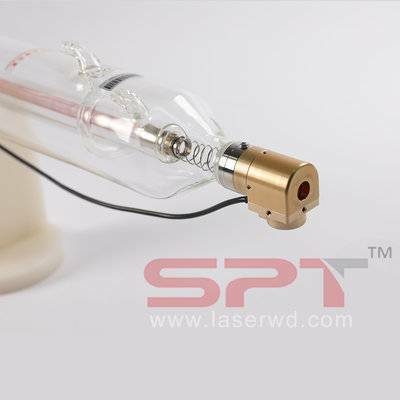 Now SPT laser tube is very popular in Amercia, Europe, Asia and Africa countries. More and more customers have visited SPT and build a strong partnership with each other. 3. 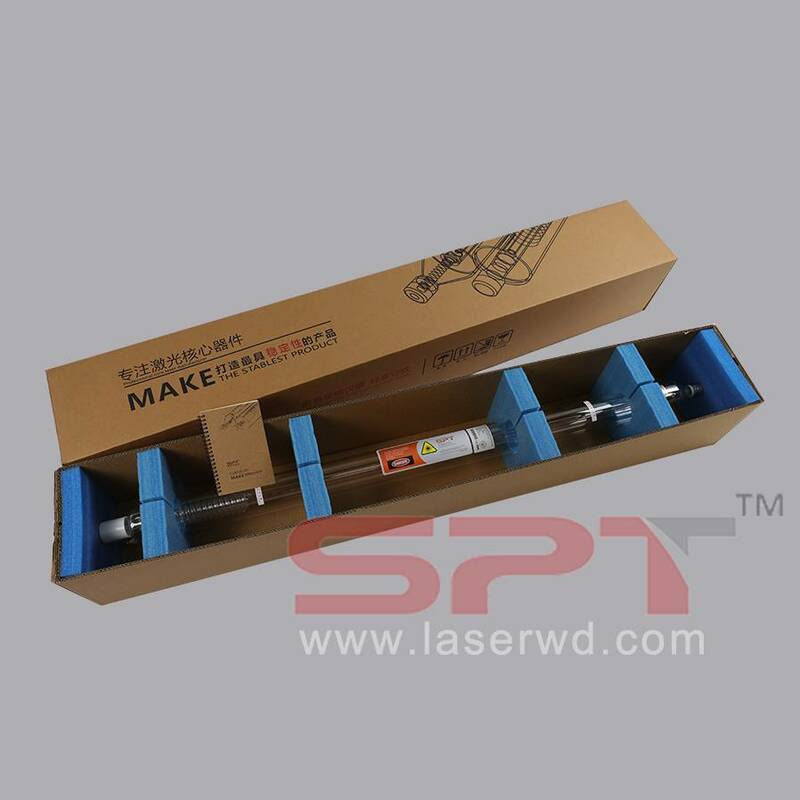 Agent brand new RF metal laser tube and maintenance service for used metal laser tube.